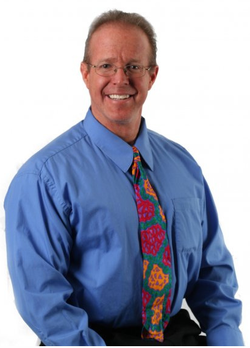 Dr. Warren Willey is the Medical Director of a medical weight loss center and primary care office in Southeast Idaho. He uses a unique approach to patient care by offering preventative medical intervention by helping people to obtain optimal health and fitness through elite nutritional programs, diet strategies, and exercise programs. He is a Board Certified Osteopathic Physician, and did his postgraduate training at The Mayo Clinic. He is a founding diplomat of the American Board of Holistic Medicine and a diplomat with The America Board of Family Medicine, The America Board Urgent Care Medicine and The American Board of Obesity Medicine. Dr. Willey is highly sought after, dynamic speaker and does healthy living and weight loss presentations around the country. Dr. Willey is an established author having written a medical textbook and What Does Your Doctor Look Like Naked? Your guide To Optimum Health, released in 2003. This book has helped thousands of people lose weight and obtain and then maintain optimal health. One of his books, Better Than Steroids! , is sold internationally as it is the most concise summary of what you need to know to get that ultimate physique! He most recently released The Z Diet, the secret to long term dietary adherence! He also writes for a number periodicals and web sites. He has almost 30 years experience with exercise development and nutritional intervention. Lost the weight or want to continue losing the weight with the amazing science and know-how of low carb and Paleo dieting? Now you want to take it to the next level and go for that optimal physique? Dr. Warren Willey combines years of experience in weight loss and body morphing to help you obtain and maintain your optimal physique! Using a combination of sophisticated lab test to see what your body is doing with food, following body composition closely and your subjective feedback, Dr. Willey’s team will ‘dial’ you in to body perfection! Just getting done with weight loss using a Paleo plan or KETO run and want to get your super comp numbers right? Ask the expert! Can’t seem to drop that last few pounds? Get years of experience in a few minutes on line or on the phone with Dr. Willey. •	Or ANY other topic you would like to discuss!